When most people draw up a household budget, they envision paying for a list of necessities and then using the rest of their income on “extras” that are important to them. Yet many of these well-intentioned people end up frustrated and disappointed when their carefully planned budget becomes unworkable within weeks or even days. Here’s the problem: When creating budgets, most people think only in terms of normal monthly bills and obligations — rent or mortgage, food, regular loan payments, utilities and so on. But they don’t create a realistic plan that takes into account what they actually spend. Inevitably, this approach leads to ongoing stress and frustration because something always derails the plan. At worst, it can lead to an ever-increasing accumulation of credit card debt. A better spending-and-saving plan will make the stress disappear and give you control over your financial future. Here’s a budgeting system that is realistic and takes into account not only regular monthly payments, but also spending that doesn’t happen every month, or even every year. Follow this plan, and you’re less likely to be surprised by costs that weren’t on your original budget. This means all the money available for spending after all paycheck deductions have been taken out (such as taxes, health insurance and retirement plan contributions). The concept of “paying yourself first” is important. It’s doesn’t mean taking a chunk of your income and spending it on whatever you desire that particular month. It means taking some money from each paycheck and setting aside for additional savings beyond your employer’s retirement plan, as well as for paying down outstanding debt. This will help you secure your financial future. One of the most important things you can do to budget realistically is to create a short-term savings account for non-monthly expenses. This includes things that are fairly easy to plan for, such as car insurance bills that arrive every six months; set aside one-sixth of that total every month in your savings reserve. Don’t stop there, though. This category also includes seasonal expenses, such as home landscaping, and those that tend to occur annually in bunches, such as vacation costs and gifts. Replacement items and maintenance also fall into this category. For example, you will have to replace “personal property” like furniture and large appliances once in a while. Lower-cost items, such as a toaster or hair dryer, will need replacing from time to time, too. A new toaster may not seem like much of an expense, but if you do not plan for it, it can blow up your spending plan. Your car will need routine servicing, as well as new tires on occasion. If you own a house, eventually things like the furnace, air conditioning, roof and driveway may need to be replaced. Car maintenance and tires — 5 to 10 cents per mile. For example, if you drive 10,000 miles annually, you should plan on $500 to $1,000 per year for car maintenance. Most of this would be set aside into short-term savings that you could draw on as expenses arise. But 20% should be set aside in a longer-term savings account to replace tires when needed. Home maintenance and replacement — 2% to 3% of your home’s value. Roughly one-third of this amount should be in a longer-term savings account to cover replacement of higher-ticket items like furnaces, driveways and roofs. Contingency fund — 2% of net annual pay to cover stuff that you just didn’t think of. Also, if you have a car payment, once you are done with it, start putting some or all of the amount you were spending each month into a car replacement fund. After you make the above adjustments to your net pay, you will be left with a realistic figure for what’s available to cover normal monthly bills. 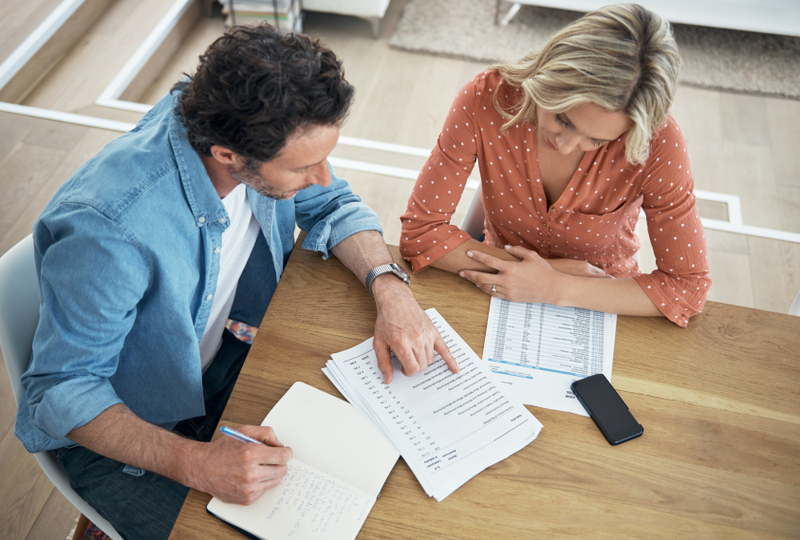 Using this outline to set a budget forces you to more closely examine your needs — to go beyond the bills-and-extras approach to budgeting that so often fails. “Realistic” can mean a couple of things. Obviously, spending $3,000 per month on rent when that is your total income is not realistic. But “realistic” also means being honest about who you are. If you get energy and fulfillment from socializing with friends, for example, and you draw up a budget that cuts out or sharply curtails entertainment spending, realistically you are not going to stick with the plan, and it will fail. Similarly, if your job requires a certain wardrobe and you are not realistic about what such a wardrobe actually costs to maintain, that will also lead to problems. Changing to an approach like this takes time and patience. It will likely lead to fundamental changes in the way you live. But it will also give you a spending and saving plan that is workable and sustainable, and one that will help you meet both short- and long-term financial goals.